Home » NEWS » SALUSTIANO on Cover of Der kunsthandel Magazine. 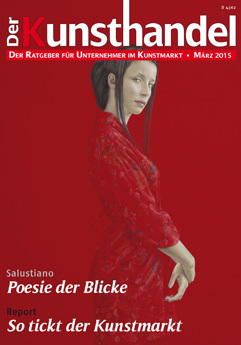 SALUSTIANO Featured on the Cover of Der kunsthandel Magazine. Posted in NEWS, SALUSTIANO and tagged news, salustiano.